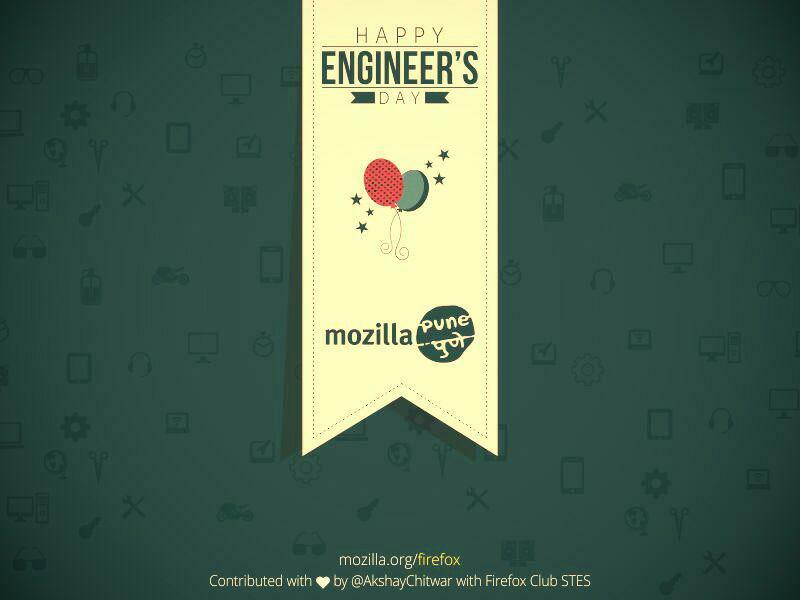 The Firefox Club STES had organized the HTML/CSS coding competition using Mozilla Thimble tool and a Graphics Designing workshop for the Engineering students on the occasion of Engineer’s Day. The events which were organized were divided into 2 phases. In the first phase, the HTML/CSS competition was conducted using Mozilla Thimble. Over 50 new Webmaker accounts were opened and the same number of makes were received. The competition was divided into 3 categories : Second Year Engg, Third Year Engg and Final Year Engg; and a winner from each category was drawn depending on his/her make. The Graphics Designing workshop was a hands-on workshop which was conducted in the second phase. For this workshop, we were privileged to have Akshay Chitwar, Owner of Mozilla Pune Creative Task Force, as the Guest Speaker. 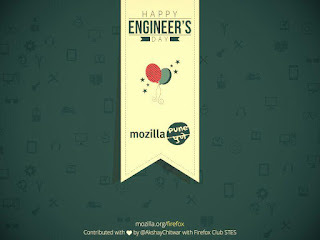 The Engineer’s day poster was created using Corel Draw tool. The participants were then asked to come up with their own creativity and create an awesome graphic based on the Engineer’s Day theme. The number of participants who attended this event was 115. I thank Akshay for such a fantastic workshop and the volunteers of the Club for such an amazing event management.